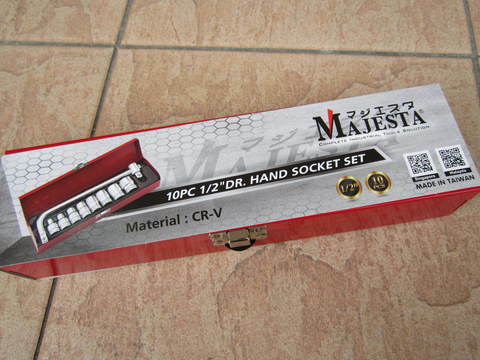 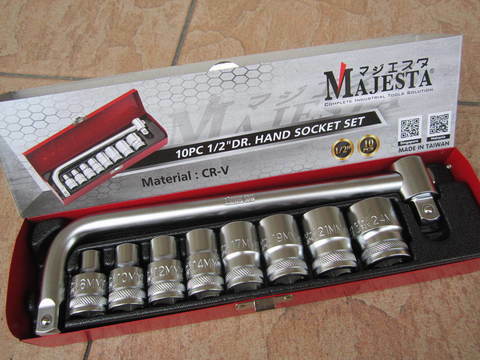 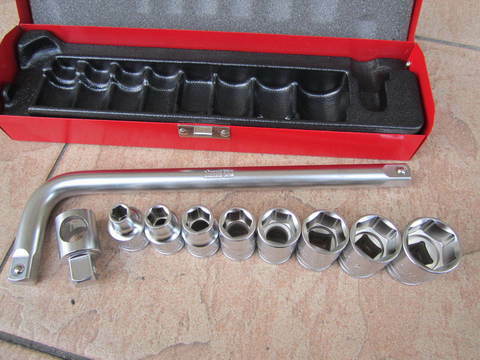 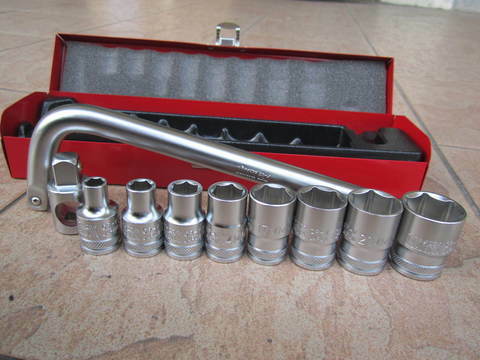 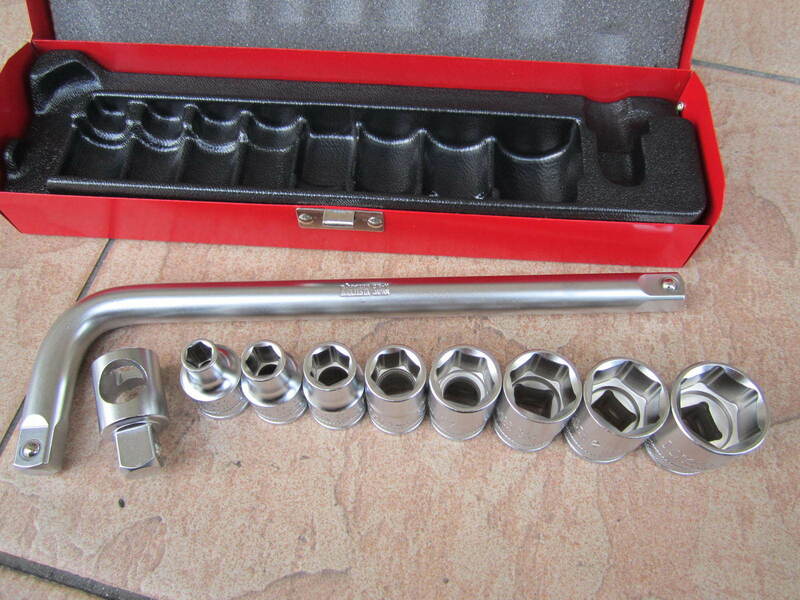 Majesta 10pc 1/2" Dr. Hand Socket Set (6PT)..
Majesta hand tools all made in Taiwan, professional ratchet wrench, screwdriver bits and socket set. Chrome vanadium steel material manufacturing, suitable for tightening bolts, whether, on cars/bikes or any other attachment, technicians usually required different sockets for different size of bolts. 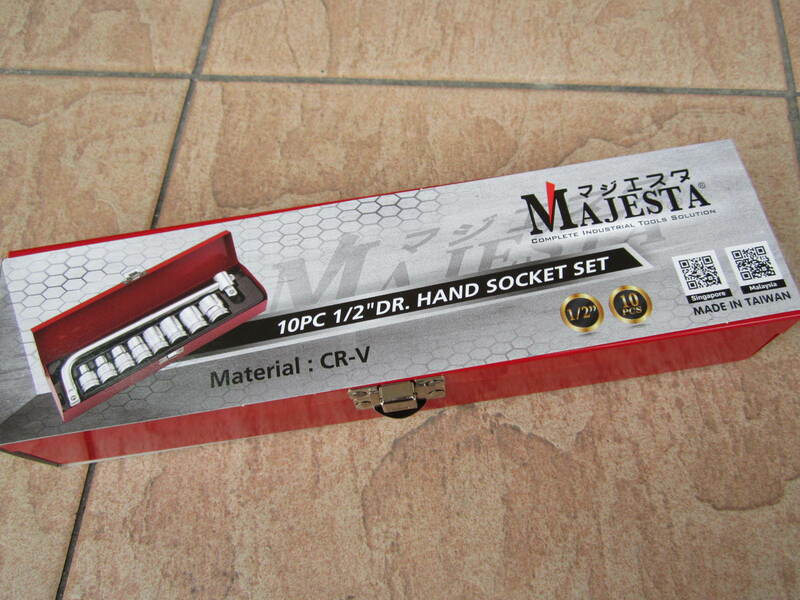 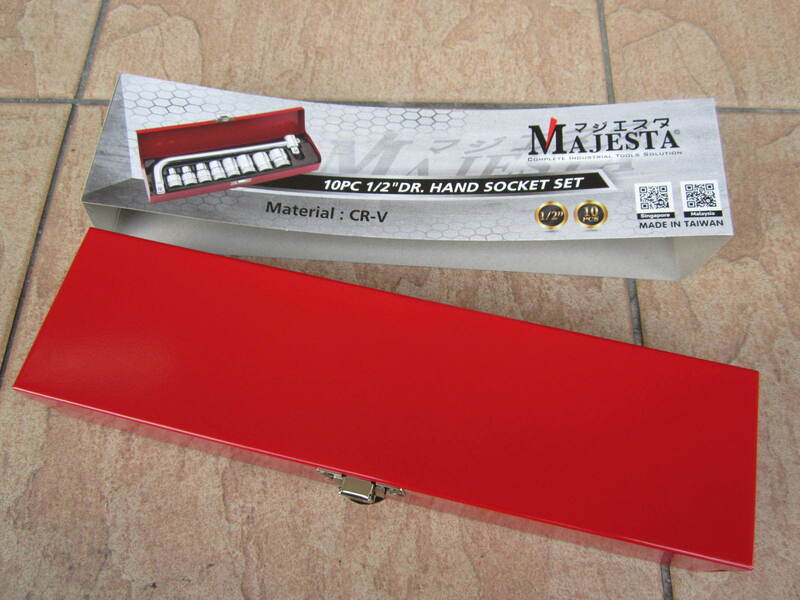 1pc 1/2" Dr. L Handle, 10"
PRICE RM99.00..(Majesta Complete Industrial Tools Solution)..